Icons play a vital part in letting people have information about the items that are in a particular place or the signs that they need to be aware of especially if they are in a foreign country where language barriers may occur. Simple icon designs work as a very efficient and effective tool in these particular cases as they can relay information without the use of words. Icon designs that are simple in form can truly be great means and mediums of visual communication. Flat Icons are know for their two dimensional, unique and minimalist design. They are mostly designed using illustrations and drawings and do not contain images and real life representation of objects. They can be used on all kinds of websites. 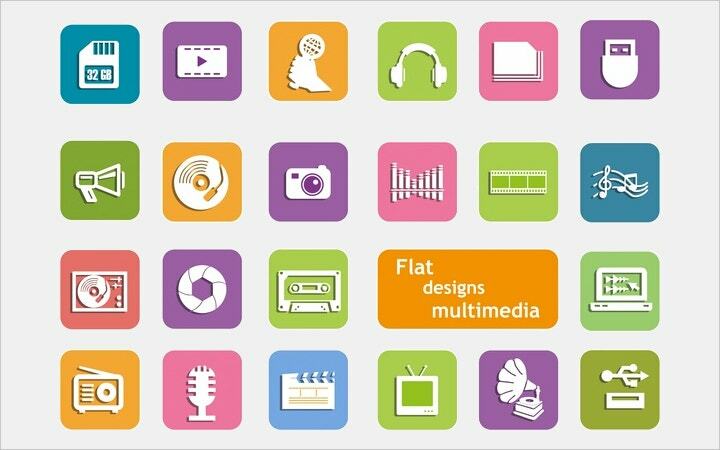 Here is a collection of variety of Flat Icons of various themes that you can use for your website design. Flat spring App Icons may be used by people who want to designate a spring-inspired theme to their devices. Moreover, it can actually be used to represent different stages of planting procedures and to assure that the activities needed for a plant to grow is done at the proper time as well. The subtlty of these icon design is their major charm. 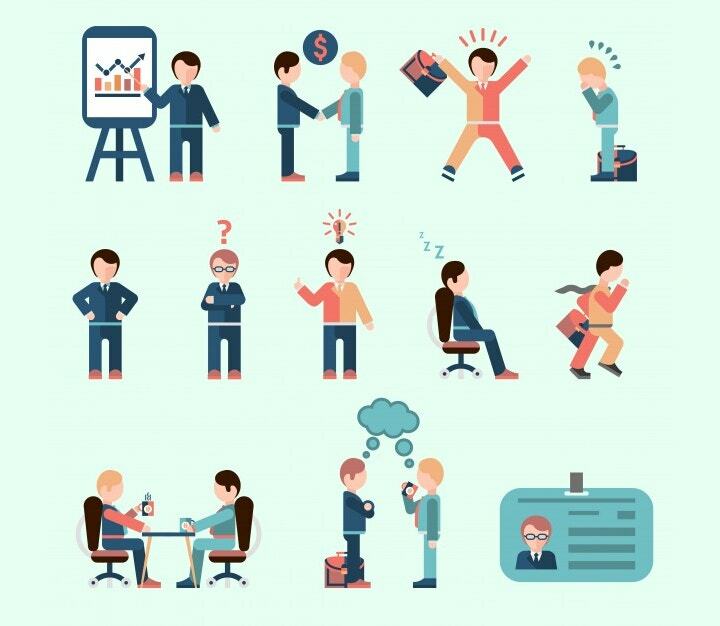 This set of office icons look unique and something that can be used in all kinds of corporate and company websites and apps. The set comprises of 20 flat designs that are available for free download. The icon design looks fresh and contemporary. The icon file comes in AI, EPS, PSD, PNG & SVG format. The set comes with following icons like film, calculator, money, info-graphic, lock, lamp, shopping, magic and other. The fast food icon set comes in AI format and is fully editable. These vector files can be re sized and re scaled. If you own a fast food website, used these flat icons to create a full fledged professional website. The office flat icon set comes with 6 vector office flat icons that can be easily customized for your projects and designs. Includes file icon, note icon, folder icon, computer icon, table lamp icon and clock icon. If you are looking for flat icons that are colorful and fresh, your search should stop here. This icon set presented here, comes in PSD file format with fully editable layers and layer styles. You can customize, re size and re scale them easily. 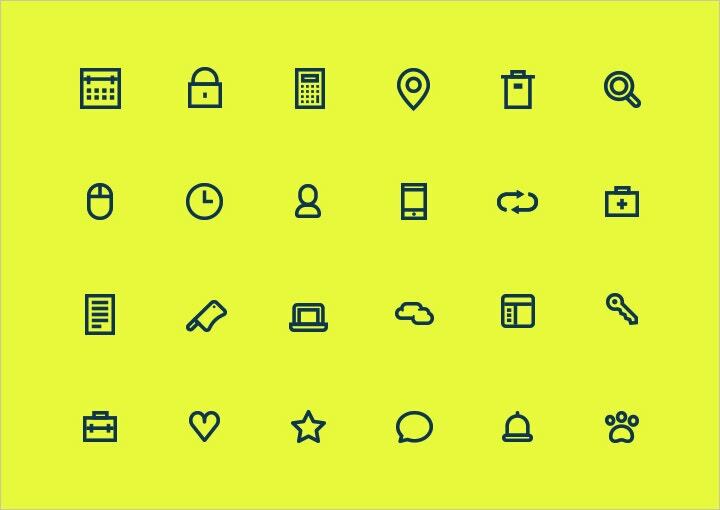 These 20 vector icons are available for free and are suitable for web design, print design and mobile app design projects. These icons are available in one EPS file that you can customize on Adobe Illustrator. You can replace the colors and size of these icons by editing them using Illustrator. The given flat icon set has been inspired by nature and is perfect for nature & environment related websites design project, mobile apps design, desktop application design, print, etc. The file is available in PSD, PNG, EPS, AI format. All 15 icons present in the set are designed with vector shapes because of which you can easily re-size these icons. You also make changes to other design elements like colors and shape. Every website today, no matter how big or small, carries a social media presence. And in order to make people aware of the various social media platform where the website is present, social media icons are used in the website. These social media icons are designed with the respective social media service logo. We have a collection of various social media icons that you can download and use for website and mobile app design. Social network icons, for example, help in letting the user know the social media platforms that are in a particular device. It allows him or her to easily browse through the items that are in his or her phone. Without these icons, it will be hard to identify which social media account is the one that he or she wants to open for a specific period of time. 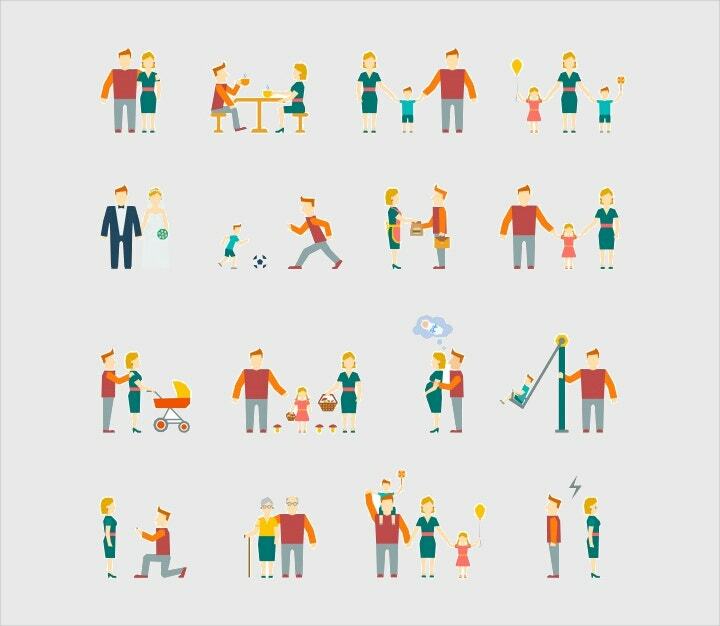 This is a complete set of 34 beautiful and unique shape social media icons. 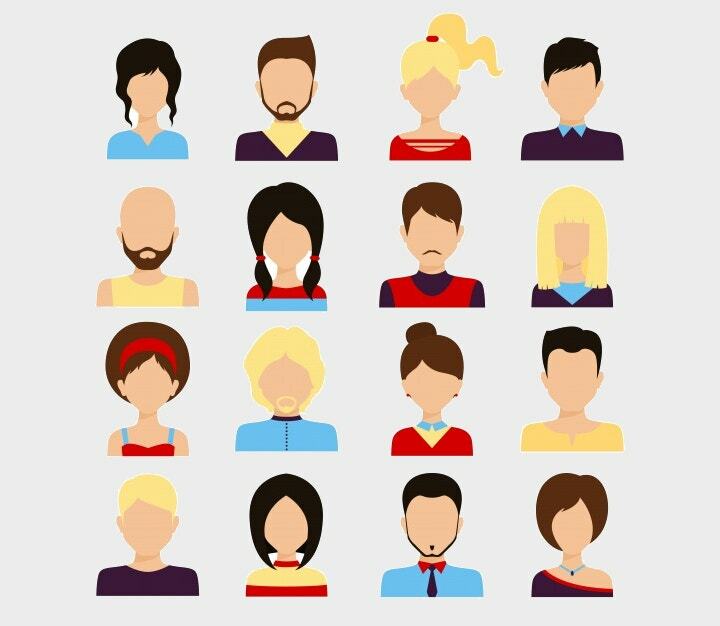 These free vector icons are fully customizable and can be used in web templates, mobile apps and any other design works. This set of social media icons have a glass like effect in them. The icons have been designed in vector and therefore can be edited using Illustrator. Icons have become a part of all websites and mobile app these days. Flat icon designs, especially, provide a subtlety to the web page and make it look more professional. 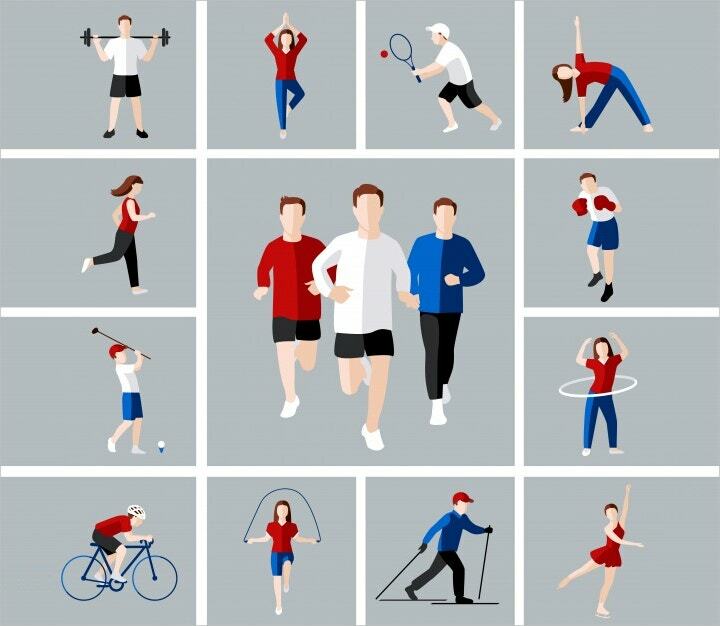 Depending on the subject, the icons vary and you can design all sorts of icons for your website to give a picture like a reference to the users. 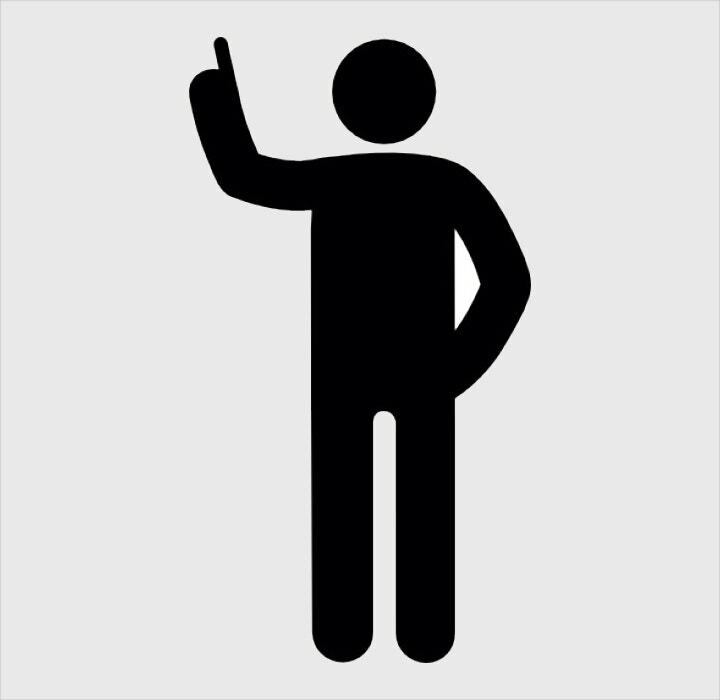 Today we are specifically going to talk about business icons that are mostly used in corporate websites. These exclusive company business icons are available for free download and you can get the complete set for download with just a single click. You can use these vector icons directly or can edit these icon design using Adobe Illustrator and resize and rescale the icon. This set of 40 business icon vectors are available in .ai, .svg, and .eps format. You can directly download the icon set and use it for your company website and also edit these icons to fit your need in terms of size and color. These business icons have been designed by Dimitry Miroliubov. This is a colorful business icon set and the icon present here looks like doodle sketch which makes the set look unique and playful. This set of business icons comes in editable vector AI format. 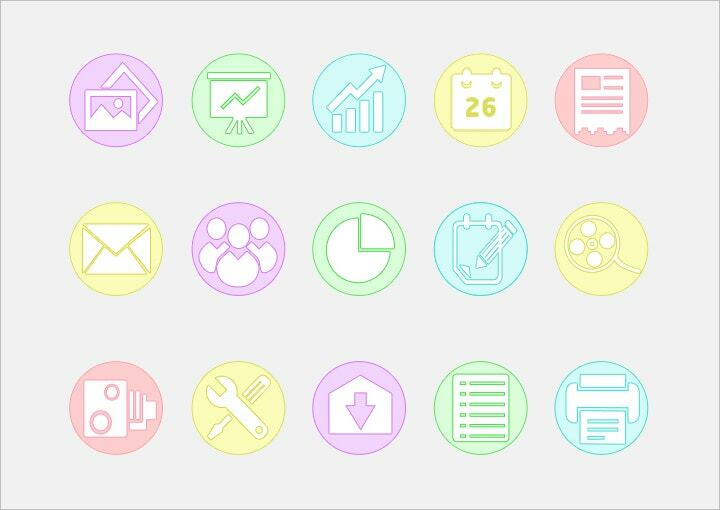 If you like icons encircled with different colored backgrounds, you can download this set of 20 business icons for free. The vector file comes with a resolution of 5000x3750px and comprises of popular business icons like calculator, desktop, laptop, watch etc. If you are not so fond of the round background business icons, you can instead look for this set of squared background business icons. These are flat business icons that look simple and are perfect for corporate website or mobile app. 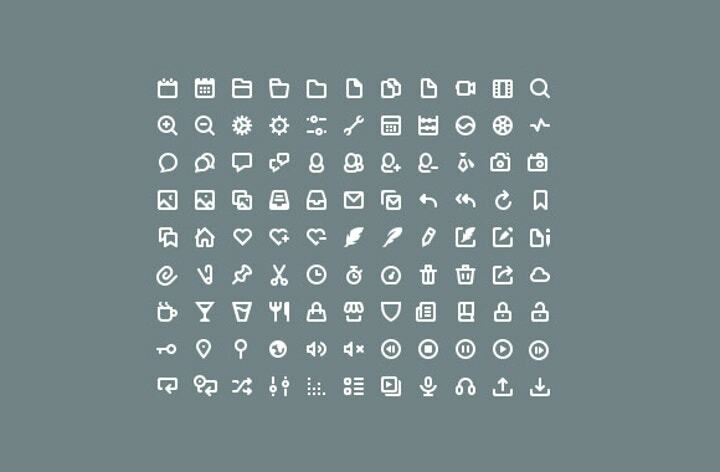 With a pixel size of 42px, these 60 business icons are perfect for everyday use in websites and mobile apps. If you own a business or finance related website, this set is going to provide you with interesting icon designs. This set of business vector icons are available for free and can be downloaded for personal use only. The set contains 22 business icon vector editable in Adobe Illustrator. Icons comes in all kinds of shapes but the round icons are the most popular. The reason behind the popularity of this shape could be the subtleties and the harmony that it brings to the design. We have presented you with some fantastic flat icon designs and today we are going to focus specifically on round icons. 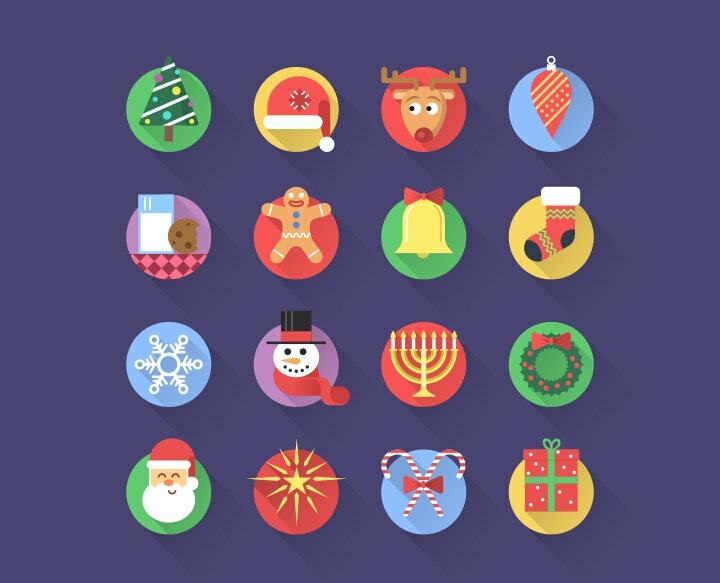 You can create all kinds of icons, from office icons to social media icons, in round shape. If you do not want to start from the scratch you can download from the round icon vectors given below. 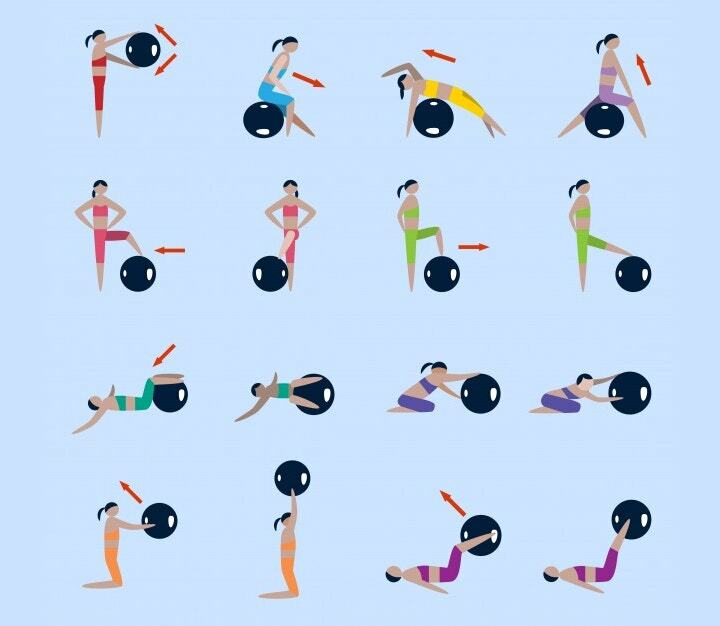 We have collected some of the best roundly shaped icons after searching all over the internet. These round icons templates have been specifically created to link social media profiles and pages. The social media icon template is available in vector format and you can change the size of these round icons without compromising on the resolution quality of the icons. These set of round icons have been designed using single line design. The icons have been designed in rounded style and do not come with a separate round background. The design concept is very interesting. 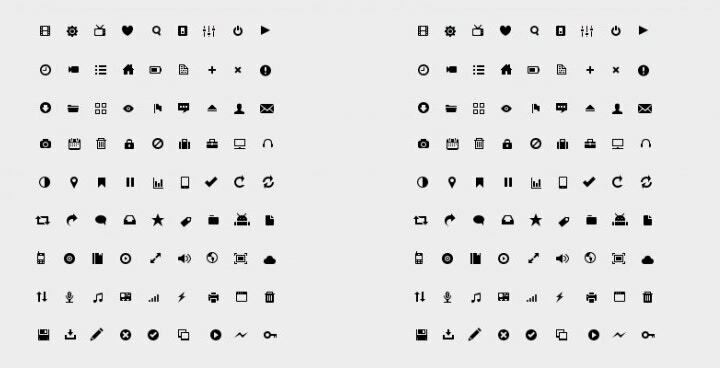 Download this set of minimalistic icons and use it for website and mobile app design. With this set you can get icons for every popular social network and entertainment media website. Do not miss on downloading this set of rounded icons. From Facebook, Twitter and Google+ to Behance, Dribbble, Vimeo and Dropbox you all required icons here to help you link your digital presence. Another set of outlined, minimalistic rounded icon with clean and simple finish. The set comes in PSD file and can be edited using Photoshop. The layers are fully editable and well organized. The file is available for free download and can be used for your personal website, freelance portfolio, or creative agency. The set comprises of 4 rounded icons designed in metal like finish and contemporary style. These high quality icons are available for free download. You can download the free PSD file and also edit all of these using Photoshop to change the size, if desired. These round icons comprise of some of the iOS tool icons like calendar, calculator, clock, notes, weather and counter camera. These PSD files can be downloaded for free personal and commercial use. Here are 6 hexagon icons with rounded corner that gives a unique look to the set. These vector icons are easy to edit and can be used across multiple platforms and areas of design including info-graphics, websites, branding, print and UI work. These contact icons are perfect for UI design. The set comprises of all kinds of contact icons and if you are designing an operating system, you can uses these icons for the UI design. These can also be used in website and mobile app design. Music icons are mostly seen in a music related mobile app, blogs and websites. 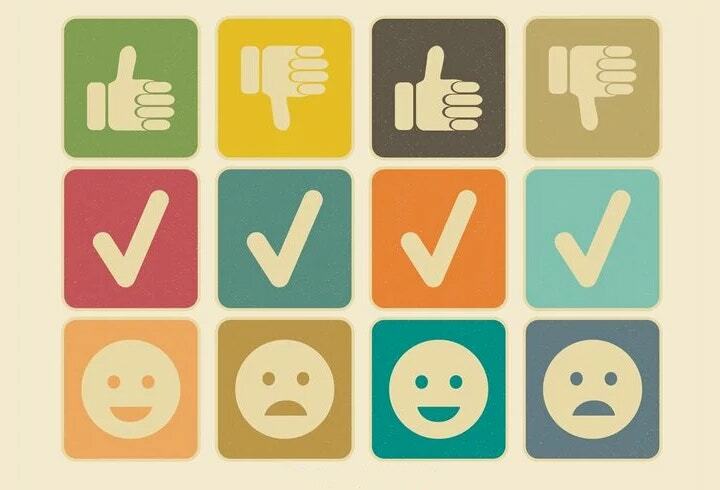 Designing these icons can be difficult, especially for amature designers. However, there are many icon vectors available online that you can use to create all kinds of icons including music and party icons. These vectors are editable and you can also reshape and resize these icons. From colorful to monochromatic to lined, we have all kinds of music icons available here. You can use them directly or customise them first to fit your need and then use them. The given set of music instrument icon is available for free for commercial as well as personal use. The icon have been design using blue and white color and the combination works very well for the icon. Download the complete set and use it for your music related graphic design projects. These icon set can be used in music themed mobile apps and website. These icons have been designed in vector format and can be edited using Illustrator. You can resize and reshape the icons as per your desire. This set includes 24 vector icons including headphones, guitars, microphones, keyboards, speakers and keyboards, to name a few. The icons are included in two sizes of Sketch files, Illustrator files and SVGs. This is a set of colorful music icons that looks unique and interesting. Each icon has an encircled background and all the icon and backgrounds are have been designed using interesting and edgy color combination. This set of music icons has been designed using simple line. The set comes with 15 music line icons PSD to download and use in web design or graphic design. The set is available for free download for personal use only. This set contains music and party theme icons available in vector format. These icons are available for free download. You can use these icons for you music and lifestyle related website and mobile phone app. These icons have been designed using minimalistic approach. The set contains free monochromatic music icons designed in PSD file format. The music icons given in the set includes microphones, guitar, bass, drums, etc. Another colorful music icon set. There is an alternative color combination used for the background. These icons look subtle and perfect. There are many ways that icons can be used. These simple icons can either be applied to a document as a design material or they can serve a bigger purpose by allowing understanding through the use of images. As simple as they may seem, icons provide usages that are bigger than their simple and small appearance. Check out more of Template.net’s ever-growing archives for more icons, buttons, forms, and templates for a myriad of applications.